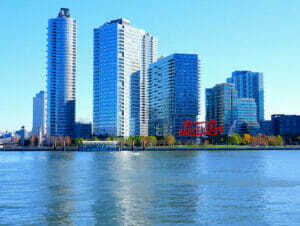 Long Island City New York is near the East River opposite the east side of Manhattan. Known for its waterside parks, lively art scene and continuous transformations. 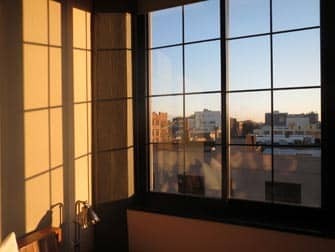 I see it mostly as a perfect low budget alternative to staying in Manhattan. 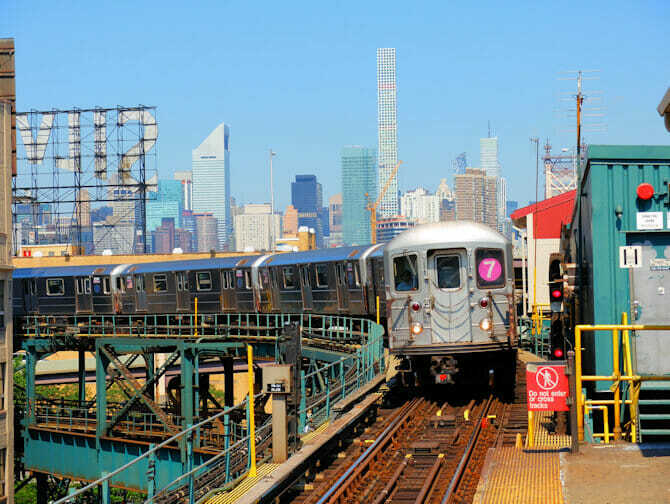 It takes just fifteen minutes to travel from Long Island City to Manhattan by subway. 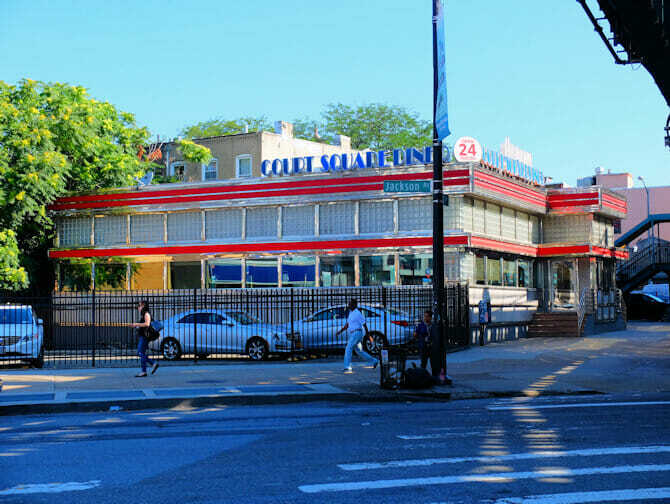 Long Island City has a high concentration of galleries, art institutions and studio space. These places are not very well known, however, and therefore are hard to find. 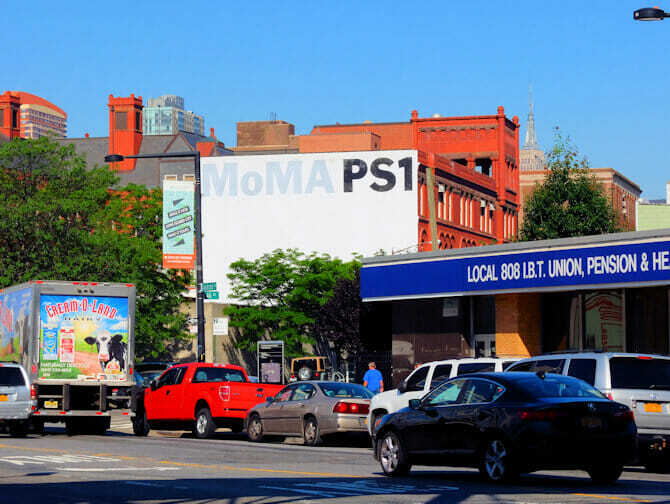 One of the art organisations that is a little more prominent in the area is MoMA PS1. In fact, it’s more of a large expo space, focusing on modern art and experimentation. Are you an art and music fan and planning to be in Long Island in the summer? Each summer MoMA PS1 hosts the Warm Up Sessions: Every Saturday you can enjoy different genres of music in a creative, outdoor setting. After a visit to MoMA PS1, walk to The Creek and The Cave, a Californian style Mexican restaurant. They serve great burgers, have a lounge (with performances by stand-up comedians and more) in addition to a cozy patio, where you simply have to try the tasty (as well as affordable) margaritas and nachos. 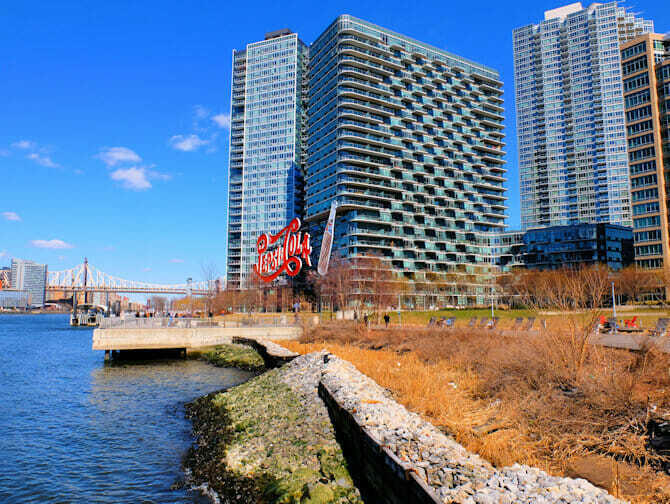 Long Island City is not necessarily an area you’d stroll through, just for the fun of it (not yet anyway). But it is one of the more up and coming neighbourhoods. You’ll notice all the construction sites, where mostly hotels are being built. Most of the hotels here offer very reasonable prices, compared to Manhattan. Hotel Ravel is worth a mention, with its good food and wonderful views. Another one I recommend is The Paper Factory, which, as the name suggests, is a former paper factory that has been transformed in to a hotel. With modern, yet cozy rooms and a real New York City vibe. Those looking for a true New York experience, I would always advise staying in Manhattan. However, if this is not an option, budget-wise, Long Island City is a great alternative. As close to Manhattan as it gets, with hotels that offer an ideal price/quality ratio. In case you want to take your time to travel from Long Island City to Manhattan, I recommend walking via the Roosevelt Bridge, over to Roosevelt Island. 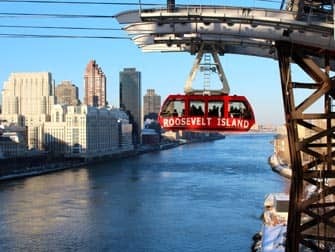 Take some pretty pictures down by the waterfront, as you head towards the Roosevelt Island Tramway: A cable car that brings you to Manhattan for just $2,75 (or even for free, with an Unlimited MetroCard). A unique and cheap alternative way to reach your destination! Eric’s Tip: You may not want to walk here by yourself, at night, as usually it’s pretty quiet on the streets of Long Island City. This could make you feel a bit uncomfortable.